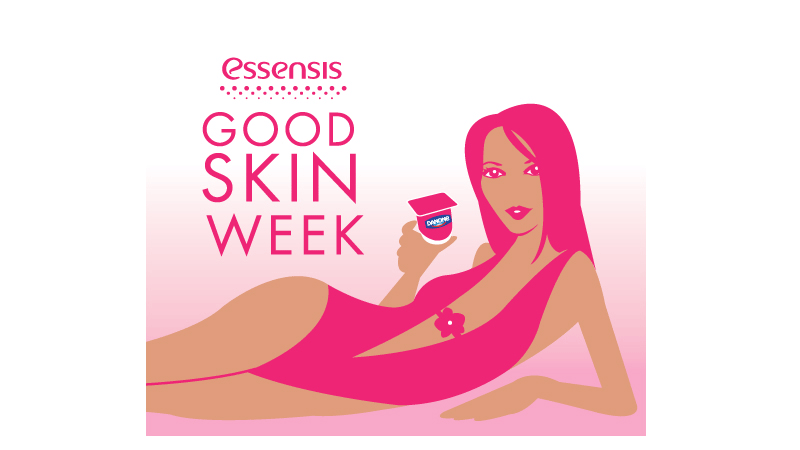 Brief: Create brand graphics to be used across marketing media to promote Essensis Yoghurt "Good Skin Week" aimed at young career women. 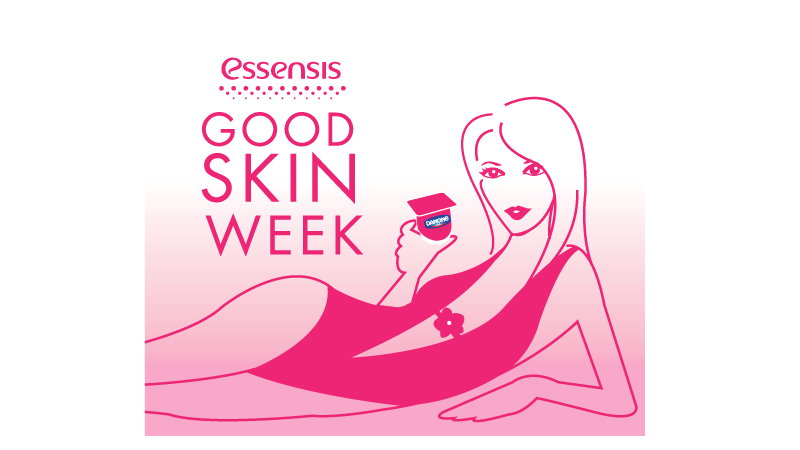 Solution: We created a simple and sleek illustration to work in harmony with the pre-existing Essensis branding. 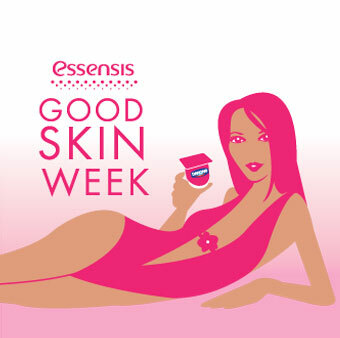 A sophisticated reclining woman and the use of the classic magazine typeface Futura, was used to convey "Good Skin Week" with a sense of calm elegance.